"A few weeks ago in London, before a distinguished invited audience of musicians and amateurs, there was a demonstration of the bowed instruments built by Dr. Alfred Stelzner according to his scientific system. 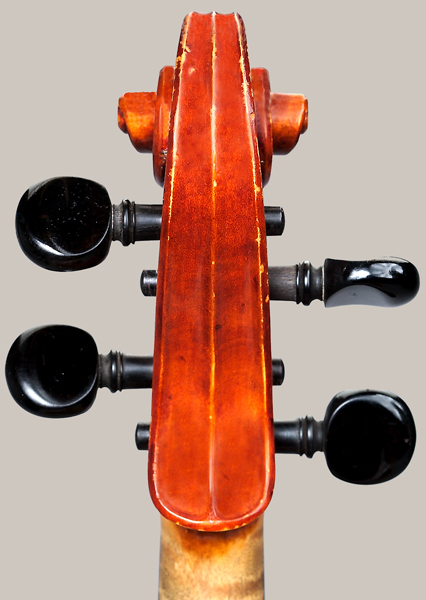 As is well known, Dr. Alfred Stelzner succeeded in solving the puzzle, previously thought insoluble, of the acoustical principles of violin making . . . . The marvelously noble tone of the new instruments won the hearts of all lovers of music, and when, at the end of the performance, a precious old Cremonese violin was unanimously declared as no equal for the new Stelzner violin, even by its owner, it was no longer possible to deny the claim that Stelzner's instruments are the best fiddles built." (Neue Zeitschrift für Musik, Leipzig, December, 1891). 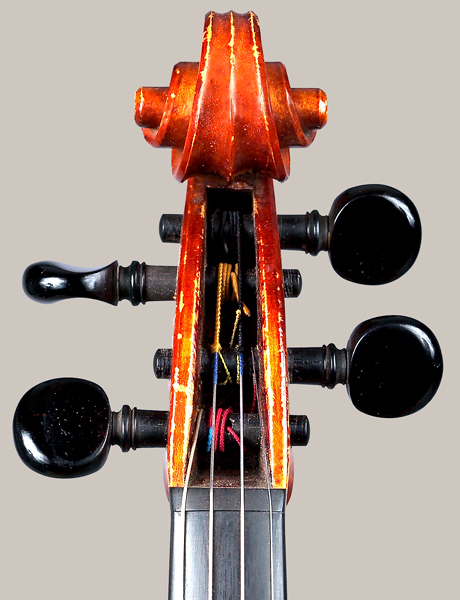 According to Dr. Alfred Stelzner: Pioneer in Violin Acoustics," by James Christensen, "[Stelzner] established production at Wiesbaden even before [Stelzner's] 1891 German patent [for the newly designed violin] was issued, employing the Geigenbaumeister, Richard Wiedemann. In 1893, Stelzner moved his operation to Dresden where Augustus Paulus produced the instruments. Paulus, who had just come to Dresden from Markneukirchen to take over the workshop of Richard Weichold, employed several workers and produced Stelzner's instruments rapidly. Stelzner and Paulus had several assistants or apprentices during the period that their shop in Dresden was in operation. They included Otto Windisch, Wilhelm Brückner (in 1895-1897) and Arnold Bernhardt (before 1905). The last known instrument from their shop, a violotta, was produced in 1899." NMM 10402. 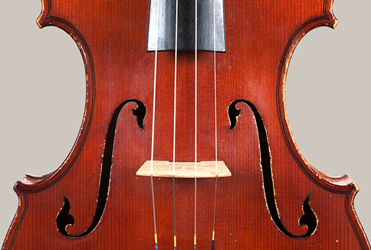 Violin made in Richard Weichold/August Paulus workshop, Dresden, Saxony, April 1893. Stelzner System. Serial no. 97. Board of Trustees, 2003. Branded on lower rib below endpin, over varnish: + [hollow, outlined cross] 6155. Top: two-piece, quarter-cut spruce: medium grain broadening toward the flanks. Back: two-piece, quarter-cut maple: medium curl descending from center joint. Ribs: quarter-cut maple: prominent, narrow curl angled to right on bass side, angled to left on treble side; wide grain; rib corners chamfered. Head and neck: maple: narrow curl; deep scroll chamfers. Nut: ebony; later; original preserved separately. Linings: spruce; wide; extend over corner blocks. Other: varnish abrasion on back from player’s collar button.